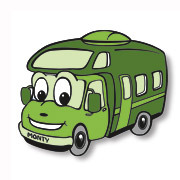 The New Motorhomes Are Coming! 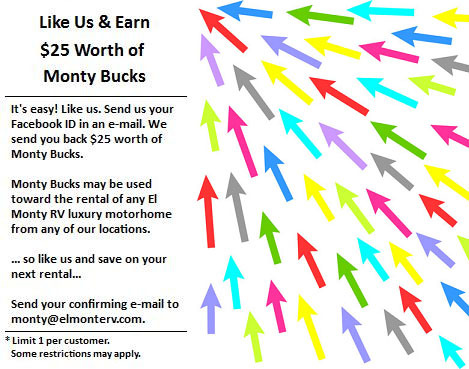 This year El Monte RV made our largest purchase of new motorhomes in the last 5 years! We will be renting hundreds of brand new motorhomes this year with all luxurious features and amenities you would expect from El Monte RV. 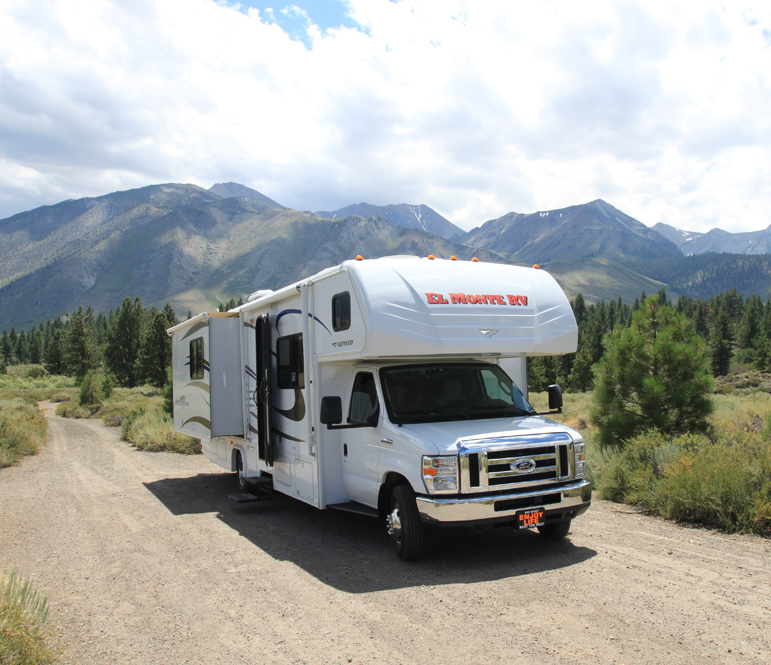 "It's important to refresh the rental fleet with new motorhomes to ensure our customers have the very best RV Rental Experience," said Ken Schork, President of El Monte RV. The new motorhomes will be integrated into the existing motorhome fleet and are already available for rent at El Monte RV locations across the country. If you are looking to rent close to home, or fly and start renting your RV near the area you would like to travel, now is the time to make your reservation while there is still availability. Call 888-337-2212 or book online and make your plans today! El Monte RV wishes you a very Happy Father's Day! Show your dad that he's #1 in your life by taking him away on a relaxing motorhome vacation. Whether he likes fishing, hiking or just relaxing by a campfire, there is no end to the great places to take him. Check out our June special to help get you on your way. 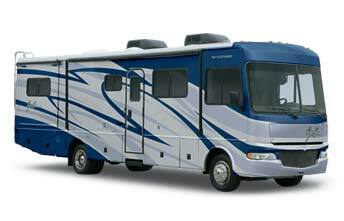 We make celebrating dad easy and fun with nationwide locations and a wide variety of motorhomes from which to choose. The Pocono 400 race at the Pocono Raceway on June 6 - 8! The Toyota Sav-Mart 350 race at the Infineon Raceway on June 20 - 22! The Quaker State 400 race at the Kentucky Speedway on June 26 - 28! Our featured Campground of the month swings all the way west this month to feature the Yosemite Lakes RV Resort in Groveland, CA! Yosemite Lakes RV Resort is an authentic American RV campground located just outside of California's beautiful Yosemite National Park. Ideally situated just 5 miles from the west gate of the park entrance, this 400-acre preserve is a wonderland of activity during the summer. The South Fork of the Tuolumne River running through the preserve is ideal for swimming, fishing and panning for gold. This RV campground in California is just 35 miles west of Lake Don Pedro where fishing, boating and water skiing are popular pastimes. The state's largest public cavern, Moaning Cavern, is also a well-known local attraction. With 254 full hook-ups, Yosemite Lakes RV Resort is ready for your visit. Their RV campground is set in one of the most majestic natural settings in the country with plenty of woods, water and mountains to explore right outside your campsite. Additional amenities include hiking, billiards, shuffleboard, mini-golf, horseshoes, volleyball, playground, wi-fi, store, laundry facilities and more! Be sure to check out this YouTube video on the campground. Devils Postpile National Monument will entice the most seasoned geologist with it's columnar basalt formations. 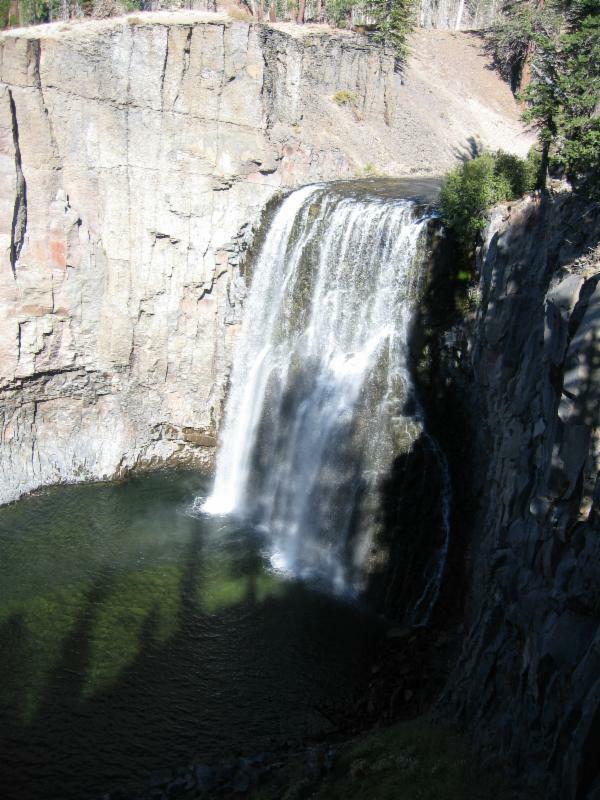 If beautiful waterfalls are what attracts you, then you won't want to miss Rainbow Falls on the middle fork of the San Joaquin River as well. Fishing, hiking, wildflower and wildlife viewing are additional attractions to the monument. There are campgrounds inside the monument, however, there are no RV hookups and there are also length limitations. Please visit their page on camping for more information. Check out a Google map of nearby rv campgrounds for more information, or make this a day trip from your campground at Yosemite Lakes RV Resort, just a couple of hours away. 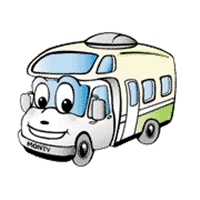 You might also consider parking your RV and taking the shuttle bus provided for a small fee from Reds Meadow Shuttle bus company. This should make for an easy, relaxing trip to the monument. We have an RV rental location in Dublin, CA that makes the drive to this national monument easy. However, if starting your trip from another location is more convenient, we also have many other rental offices, so please visit our locations map to find a location that may be more suitable. ~ Add onion, green pepper and celery. ~ Saute 2 minutes or until vegetables are crisp tender. ~ Add chicken and cook 6-7 minutes per side or until browned. ~ Combine mushroom gravy and milk. ~ Stir into chicken mixture. ~ Bring to a boil; cover and simmer 15 minutes. This best selling Class A slide-out model with bunk beds sleeps six, comes with 3 slide outs, stove, refrigerator/freezer, microwave, generator and so much more. Looks like new! Includes warranty.